I have a treat for you all today! Who doesn’t love free yarn?? 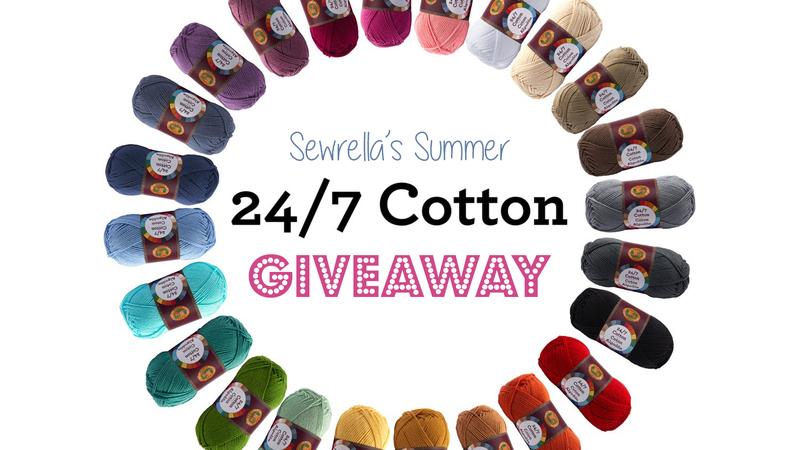 This giveaway is for a surprise sampling of Lion Brand’s NEW 24/7 Cotton – a luxurious cotton yarn that you can’t find yet in stores — score! Just enter in the rafflecopter widget below and be sure to share this giveaway with a friend! For a DOUBLE ENTRY (your name is in the pool twice) follow my Pinterest page below!